This is a how to on using the eBay shop and it’s version in Portugal. Guide to local & global shipping, the eBay.pt website — now Portuguese eBay in English! 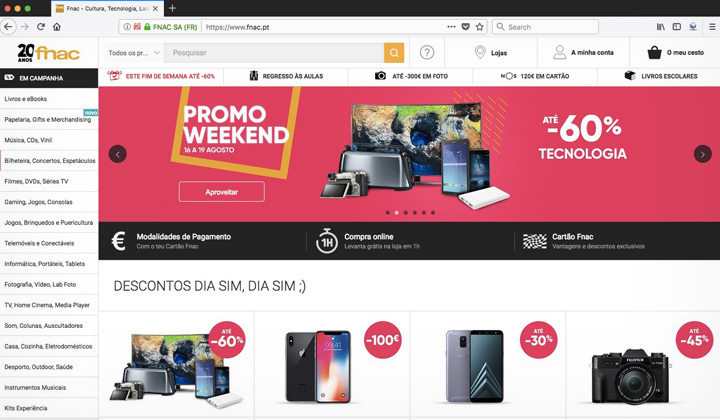 Shoppers & auctioneers in Portugal have their own domain at eBay.pt which actually is a forward to a Portuguese version of the global version of eBay in English. While there’s no support for Portuguese language, this officially supported eBay store automatically converts pricing to Euros, and calculates shipping costs. And there’s no need for other eBay sites either because search results are tailored to Portuguese customers, with relevant results. However, there are some tips to optimizing and using the popular e-commerce site outlined below. Also, despite the lack of real equivalent sites, I’ve included a list of alternatives that are somewhat similar you can consider for online shopping in the country. Besides the global marketplace eBay is known for, you can also fine tune searches to local sellers in Portugal and other cost effective regions. Here’s how! Check local availability for cheapest shipping, and quickest delivery. Step 1. 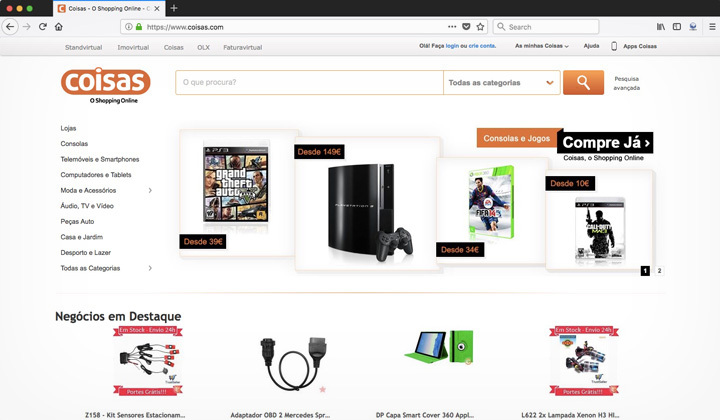 Open the advanced search page on Portuguese eBay. Step 2. Scroll down on that page for the “Located in” selection. Step 3. Select “Portugal” from the list of country locations. Step 4. Your search will be narrowed down to local eBay sellers only. Buying from eBay sellers in Europe, Asia, etc. For example, if you prefer no customs duties narrow down searches to Europe. Or Asia, for some of the best deals and slower but affordable shipping. Step 2. First conduct a simple search for any related item. Step 3. Look for the “Item Location” quick selection in the menu on your left side. This will automatically narrow down the search to Europe, etc. Without a custom domain name, as for many other eBay shop sites such as eBay.es, eBay.it, eBay.co.uk, eBay.de, eBay.fr, etc. the way it works is that your IP address is detected and then those located in Portugal will see the localized version. This is the address that identifies your internet connection, which has to be within Portugal if you want automatic Euro conversions, and shipping calculations. But, even if outside of the country, you can still use the site without the features. Also, some people may prefer to use the Spanish version of eBay here — however be aware that while you can access some sellers nearby, you have no interface in English and there are less availability in the total number of items. It may be however, worth checking out for price comparison. Shipping & delivery options are readily available to Portuguese cities such as; Lisbon, Porto, Vila Nova de Gaia, Amadora, Braga, Coimbra, Funchal, Almada, Setúbal, Agualva-Cacém, Barreiro, Queluz and others. This also includes the Portuguese prefectures or provinces of Alentejo, Algarve, Beira, Douro Litoral, Estremadura, Minho, Ribatejo, and Trás-os-Montes. Also, thanks to the relative popularity of eBay in Portugal, many international sellers use the platform to access the market in the English language. The familiar marketplace provides a global shipping program, designed for easy and global e-commerce no matter in which country you are located in. Here is an extensive list of sites like, and similar to eBay in Portugal. Note, that none of these qualify for actual equivalents but good alternatives worth considering. 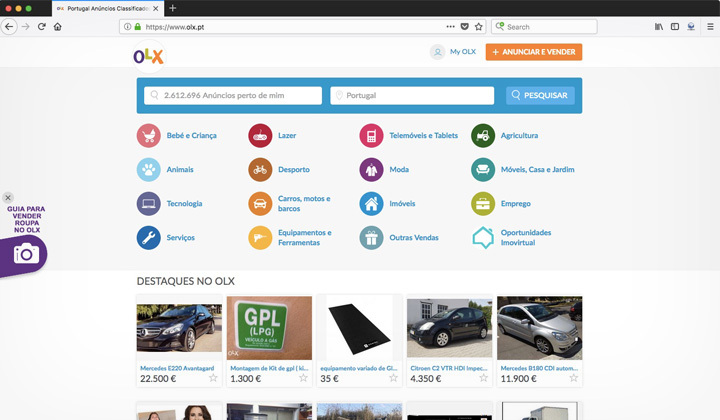 This classifieds site is often mentioned as the best alternative to eBay in Portugal, however it still very much lacks in features. Perhaps it’s biggest strength is being one of the popular such sites. To use it, you’ll need to contact sellers by email and discuss payment and delivery, most likely in Portuguese. A popular, originally French department store known for electronics, books and other multimedia sold in their stores has an online version. Also, they feature a marketplace feature where businesses and individuals can sell on their website. 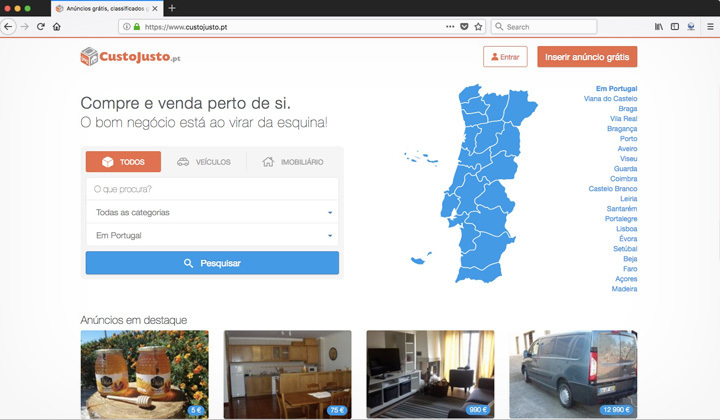 Another classic classified ads site, this one is divided by provinces in Portugal for regular listings of mostly used items from individual sellers. While they have similar sites for a large number of countries around the world, the company is actually based in Lisboa, Portugal. The site is not that popular though. Some of the online shopping categories are; Home & Clothing, Bags & Shoes, Baby & Toddler Clothing, Baby Accessories, Household Appliances, Furniture & Decoration, Home & Garden, Home Textiles & Utilities & a lot more. This basic looking marketplace features a seller portal, where similar to eBay, you can open your own online shop. Items are either sold for a fixed price or auctioned through the website. It’s popularity remains somewhat limited. And that concludes my list of websites similar to and alternatives of eBay in Portugal. Or at least those sites that are worth mentioning and checking out. Unfortunately there is no alternative that can be used in English. Please note; Free shipping or delivery is not provided on any of these sites. Any questions or concerns about using eBay in Portugal? I’m happy to get back to you on anything at comments below. Your visit is much appreciated, thank you. David. And lastly, in the name of transparency, I want to inform my readers that some of the links that you might click on can be affiliated with other websites. This can convert to financial benefit, support and even mutual benefit. Biggest thanks!